which took over the world and til today is in all music of the world. English with the Bossa Nova rhythm. A cool smooth jazz with its unique chords and syncopated rhythm. Excellent music for more a sophisticated audience and environment. 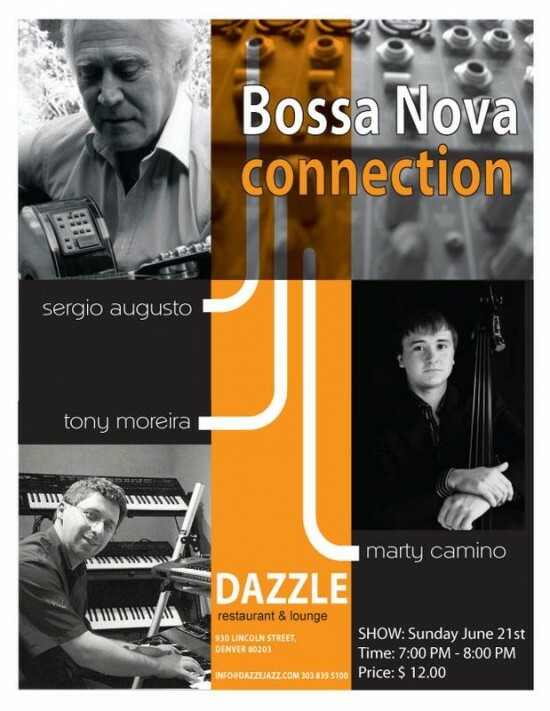 International flavor with the Bossa Nova touch. Sergio was fantastic the perfect touch to an elegant evening! Sergio is a very talented musician and I will definitely book him for other events. 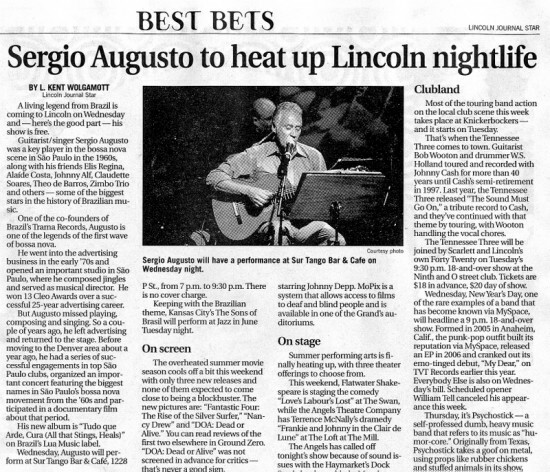 Sergio Augusto was the perfect addition to our event - his music was beautiful - he is such a talented artist! One of the best! And he played for our entire event. Just really amazing. Thank you! Sergio was fantastic and all our guests loved his beautiful and smooth Brazilian guitar play along with his wonderful voice. He arrived on time and set up on our deck quietly to surprise my wife for her birthday that was also a mixer to kick off family intro's to wedding week for my youngest daughter. Sergio made it a perfect night with great music, food and drink. I was a hero and Sergio our star. BIG WOW!!!! Great Great find that I would never have found without access to Gig Salad to find exactly what we wanted. Just a great night thanks to Sergio Augusto. 5 stars in all areas including playing my Wifes favorite song. Thanks Bob for your kind words!! You made it possible for me to showcase my music and make a new friend!!! Depending on the venue I am discreet and play softly so people can talk. In other types of venue I often tell stories and interesting tidbits of the music I'll sing and often times have the public sing along. This always brings the audience closer and unites the group. Very satisfying. At the end of the 90’s, Sergio returned “home” to his passion: BOSSA NOVA. 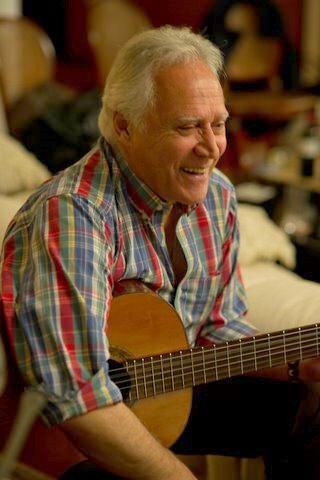 He performed in many of Sao Paulo’s nightlife venues and several of the SESC’s. He also made his mark at the Municipal Theatre in a project called “GENTE FINA”. poetic Bossa Nova music. He participated in the Brazilian Music Festival in Seattle. Inaugurated a venue in Phoenix, Arizona. Appeared at the international exhibit NAM where he played together with Jeff Linsky in Austin , Tx at the Four Seasons Hotel. Three years running he has appeared at the well known Cherry Creek Arts Festival in Denver , also performing at the Diplomats Ball also here in Denver. He was invited to perform at several cultural events at the University of Denver at the Newmann Center with pianist and arranger Tony Moreira in a project called “Where’s the Girl from Ipanamena Now”. He played weekly at the Buenos Aires Grill, Lowe’s Hotel and Buenos Aires Fusion up in the mountains of Aspen. 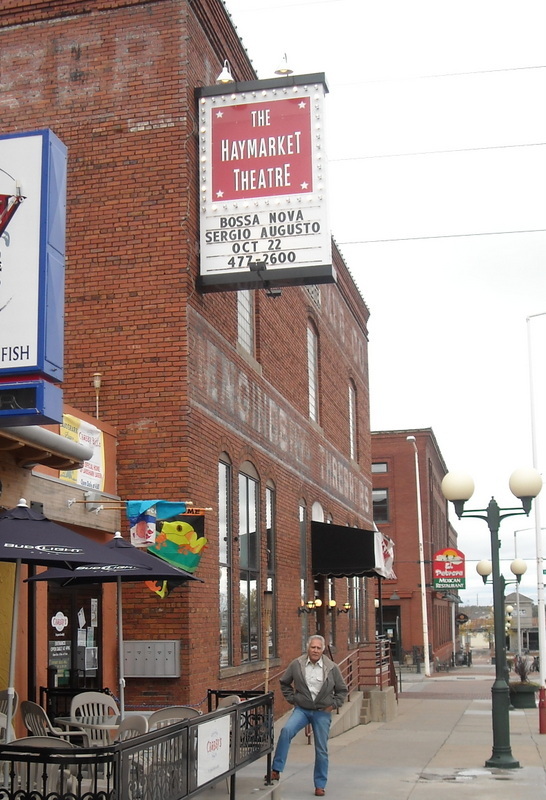 His latest concert was at the Haymarket Theatre in Lincoln, Ne. 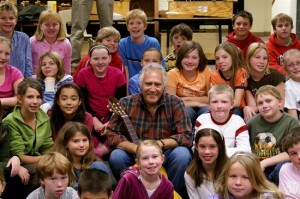 with a stop at the Sheridan public school where he performed for young children to pass on Brazilian culture. It was a magnificent experience! And he ended hisTour in Omaha, Ne. He inaugurated a venue in Scotsdale, Az in 2009. Over these years he has been back and forth from Brazil to the USA. He has just has just returned from a tour in the State of Sao Paulo aside playing Jazz clubs also in Sao Paulo. He is now back in Denver for his continuing performances at Lowe’s Hotel, Dazzle Jazz Club and other private venues. Need very little props..a stool and direct light. I usually use my own Bose equipment for smaller groups. Several Brazilian artists that played guitar because of the harmony and beat. Baden Powell and Luiz Bonfa to name a few. The harmony caught my ear at a young age and the rhythm of the smooth Bossa nova beat touched my soul. it is a movement of beautiful lyrics, rhythm and melodies.